“Relypsa partners with several advocacy groups in the U.S. to help raise awareness of hyperkalemia, educate care team members, and support at-risk and diagnosed patients. One of the advocacy groups we work very closely with – the National Kidney Foundation (NKF) – organizes walks around the U.S. designed to help people understand the need for early detection of kidney disease. Each year these walks help bring the community together and raise funds for research and patient support. 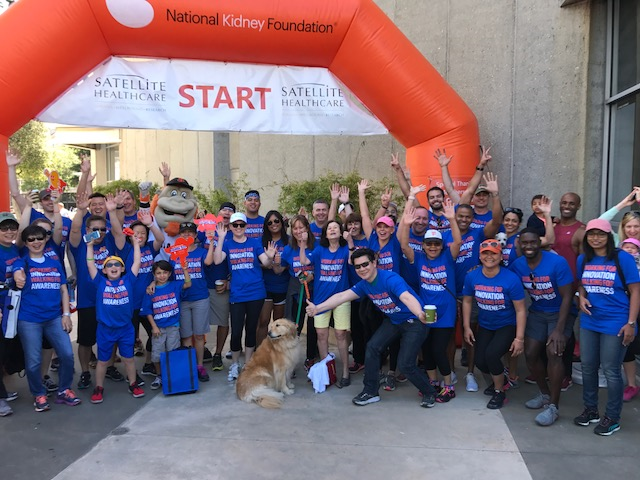 Last weekend I participated in the Silicon Valley National Kidney Walk in California along with more than 60 other team members from our headquarters. This is just one of many kidney walks our colleagues from around the country are participating in this summer. As we walk in these events, our enthusiasm and dedication bring us together as one team with a shared vision to improve patients’ lives. So far this summer, our colleagues have collectively raised almost $60,000 for the NKF and I am confident we will hit our national goal of $75,000. Thank you Scott and the Relypsa colleagues for this great initiative!